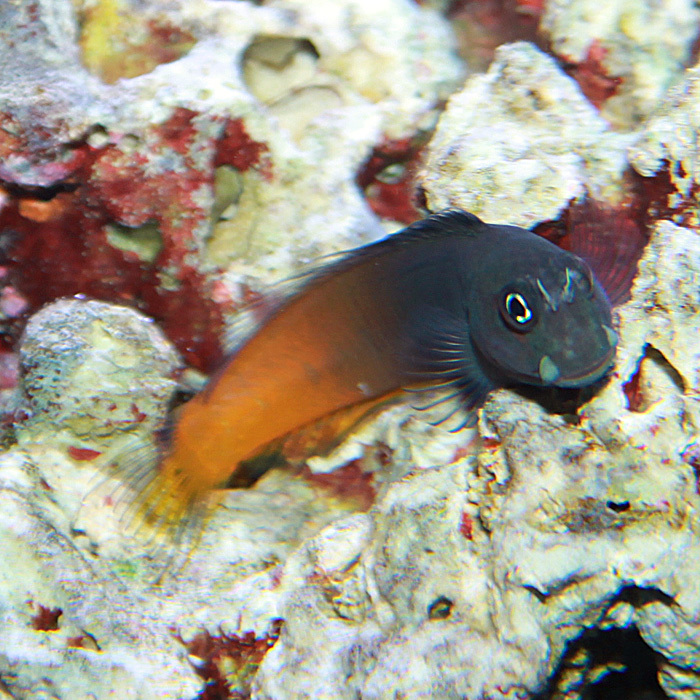 The Bicolor Blenny makes a good addition to an aquarium that needs some algae control. They’re entertaining fish and are usually peaceful, but may harass other fish with similar body shape. Males are more commonly collected for the aquarium trade because they have a bright orange or yellow anterior. Females are mostly dark grey. Use caution when housing them in a small aquarium, as they may nip at corals. They will consume nuisance algae in the aquarium, grazing on live rock, but may also appreciate feedings of marine herbivore preparations and Spirulina enriched brine shrimp.